Microsoft Excel templates are a powerful part of Excel experience and a great way to save time. Once you've created a template, it will require only minor tweaks to suit your current purposes and therefore can be applied to different scenarios and reused time and time again. Excel templates can also help you create consistent and attractive documents that will impress your colleagues or supervisors and make you look your best. Templates are especially valuable for frequently used document types such as Excel calendars, budget planners, invoices, inventories and dashboards. What can be better than grabbing a ready-to-use spreadsheet that already has the look and feel you want and can be easily tailored for your needs? That's what a Microsoft Excel template is - a predesigned workbook or a worksheet where the main work has already been done for you, saving you from reinventing the wheel. What can be better than that? Only free Excel templates :) Further on in this article, I will point you to the best collections of Excel templates and show how you can quickly make your own ones. Instead of starting with a blank sheet, you can quickly create a new workbook based on an Excel template. The right template can really simplify your life since it makes the most of tricky formulas, sophisticated styles and other features of Microsoft Excel that you might not be even familiar with. A great lot of free templates for Excel are available, waiting to be used. To make a new workbook based on an existing Excel template, perform the following steps. 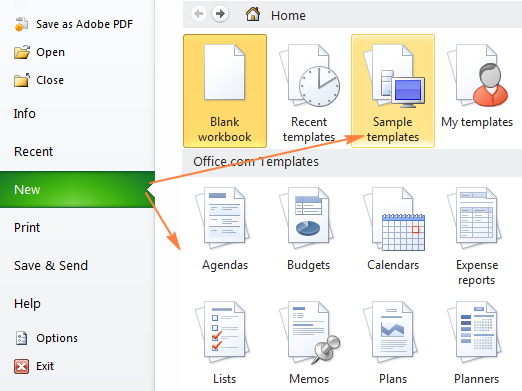 In Excel 2013, switch to the File tab and click New and you will see many templates provided by Microsoft. Select from Sample templates - these are basic Excel templates that are already installed on your computer. Look under com Templates section, click on some category to view the templates thumbnails, and then download the template you want. To preview a certain template, simply click on it. A preview of the selected template will show up along with the publisher's name and additional details on how to use the template. That's it - the selected template is downloaded and a new workbook is created based on this template right away. How do I find more templates? Note. When you are searching for a certain template, Microsoft Excel displays all relevant templates that are available on the Office Store. Not all of them are created by Microsoft Corporation, some templates are made by third-party providers or individual users. This is the reason why you may see the following notification asking if you trust the template's publisher. In case you do, click the Trust this app button. Making your own templates in Excel is easy. You start by creating a workbook in the usual way, and the most challenging part is to make it look exactly the way you want. It is definitely worth investing some time and effort both in the design and contents, because all formatting, styles, text and graphics you use in the workbook will appear on all new workbooks based on this template. Excel Data validation options such as drop-down lists, validation messages or alerts, etc. In Excel 2010 and 2013, click File > Save As. In Excel 2007, click the Office button, and then Save as. In the Save As dialogue, in the File name box, type a template name. Under Save as type, select Excel Template (*.xltx) if you are using Excel 2013, 2010 or 2007. In earlier Excel versions, select Excel 97-2003 Template (*.xlt). 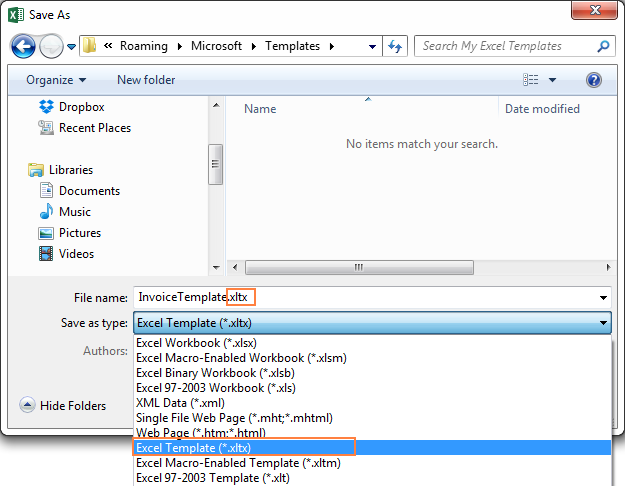 If your workbook contains a macro, then choose Excel Macro-Enabled Template (*.xltm). When you select one of the above template types, the file extension in the File Name field changes to the corresponding extension. If you want to save the template to some other folder, remember to change the location after selecting Excel Template (*.xltx) as the document type. At that, regardless of what destination folder you choose, a copy of your template will be saved to the default templates folder anyway. Click the Save button to save your newly created Excel template. Now, you can create new workbooks based on this template and share it with other users. You can share your Excel templates in many ways, just like usual Excel files - e.g. store a template in a shared folder or your local network, save it to OneDrive (Excel Online) or email as an attachment. It is not a big problem to pick any of the previously used templates in Excel 2010 and earlier versions - simply go to the File tab > New and click My templates. No one knows why Microsoft decided to discontinue this feature in Excel 2013, but the fact is that My templates do not show up in Excel 2013 by default. 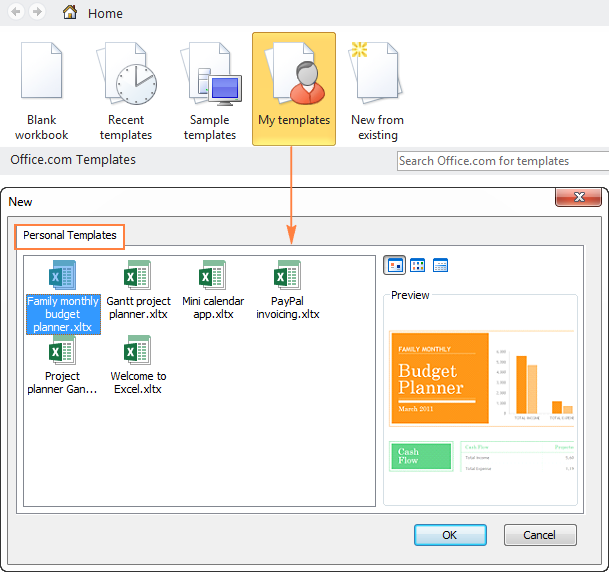 Where are my Personal Templates in Excel 2013? Some of Excel 2013 users might have been enjoying seeing the collection of templates suggested by Microsoft every time they open Excel. But what if you've always wanted YOUR templates and never what Microsoft recommends? Moreover, what if you made some nice templates in earlier versions and do want to see them again in your Excel after upgrading to version 2013? The good news is that the templates you created in earlier Excel versions are still there. Like in previous versions, Excel 2013 automatically stores a copy of each new template in the default templates folder. 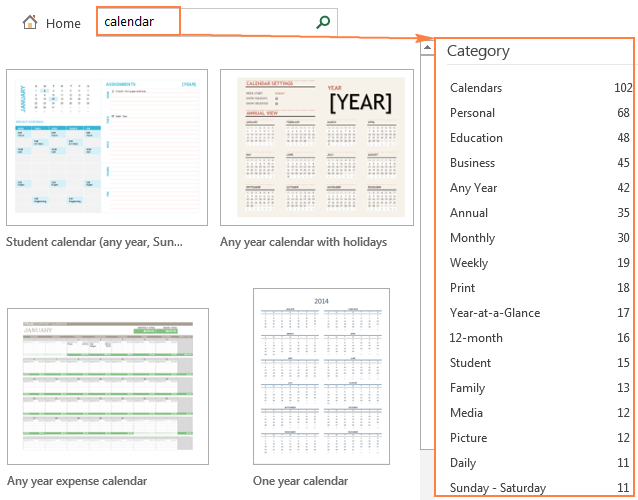 All you need to do is to bring the Personal tab back in your Excel 2013, and here's how. 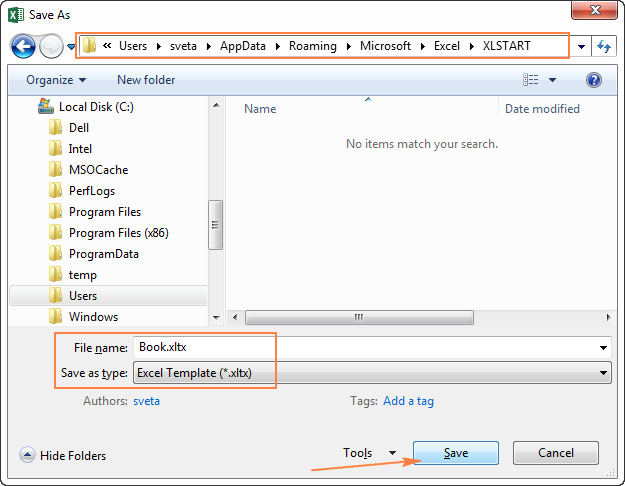 The easiest way to make the Personal tab appear in Excel 2013 is creating a special folder to store your Excel templates. Click the OK button and you are done. From now on, all custom templates you save to this folder will automatically appear under the Personal tab on the New page (File > New). Instead of creating a custom folder to store your personal Excel templates, you can find the one to which Microsoft Excel stores templates automatically and set it as Default personal templates location. Once you do this, you will find all newly created and downloaded templates as well as those you've created earlier on the Personal tab. In Windows Explorer, go to C:\Users\<User Name>\AppData\Roaming\Microsoft\Templates. Right-click the address bar, and then click Copy address as text. The Template folder will appear in search results, so you simply click on it and copy the path as explained above. In Microsoft Excel, go to File > Options > Save and paste the copied path into the Default personal templates location box, exactly as we did in step 2 of Method 1. And now, whenever you click File > New in Excel 2013, the Personal tab is there and your custom Excel templates are available for use. It looks like Microsoft received so many complains about a mysterious disappearance of personal templates in Excel 2013, that they took a trouble to create a fix. The fix applies the solution described in Method 2 automatically and is available for download here. 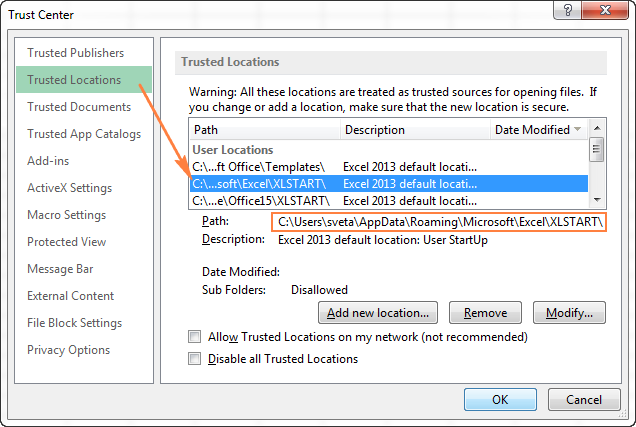 The main advantage of this approach is that it works for all Office 2013 applications, not only Excel, meaning you won't need to specify the default template location in each program individually. If among your Microsoft Excel templates there is one that you use most often, you may want to make it the default template and have it opened automatically on Excel start. Excel Workbook template. This type of a template includes several sheets. So, create a workbook that contains the sheets you want, enter placeholders and default text (e.g. page headers, column and row labels, and so on), add formulas or macros, apply styles and other formatting that you want to see in all new workbooks created with this template. Excel Worksheet template. This template type assumes just one sheet. So, delete 2 of the default 3 sheets in a workbook and then customize the remaining sheet to your liking. Apply the desired styles and formatting and enter the information you want to appear on all new worksheets based on this template. Once you've decided on your default template type, proceed with the following steps. 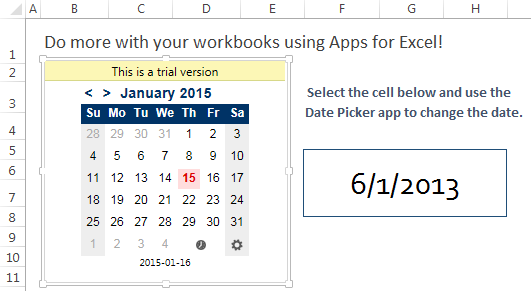 In the workbook that you want to become your default Excel template, click File > Save As. In the Save as type box, select Excel Template (*.xltx) from the drop-down list. In the Save in box, select the destination folder for the default template. This should always be the XLStart folder, no other folder will do. Click the Save button to finish the process and close the window. And now, you can restart your Excel and see if it creates a new workbook based on the default template you've just set. If you are not sure where exactly the XLStart folder is located on your machine, you can find it in two ways. 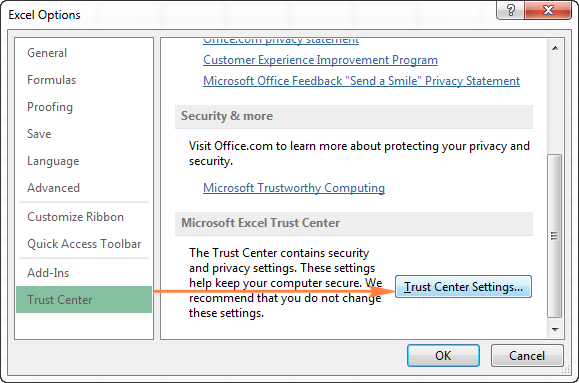 Click Trusted Locations, find the XLStart folder in the list and click on it. The full path to the folder will show up underneath the trusted locations list. When copying the XLStart folder's path, please double check that you've picked the right one. In Microsoft Excel, Press Alt+F11 to launch the Visual Basic Editor. If the Immediate window is not visible, press Ctrl+G. As soon as the Immediate window appears, type ? application.StartupPath, press Enter and you will see the exact path to the XLStart folder on your machine. As you see in the screenshot above, this method always returns the location of the personal XLSTART folder. 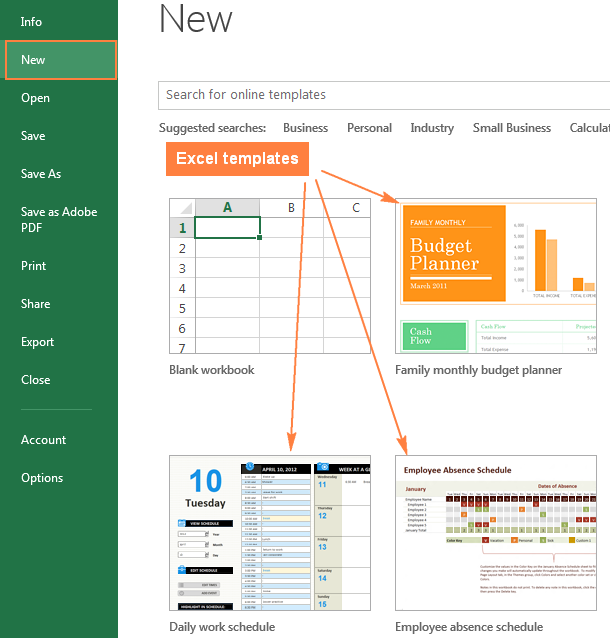 As you probably know, the best place to look for Excel templates is Office.com. Here you can find a great lot of free Excel templates grouped by different categories such as calendar templates, budget templates, invoices, timelines, inventory templates, project management templates and much more. 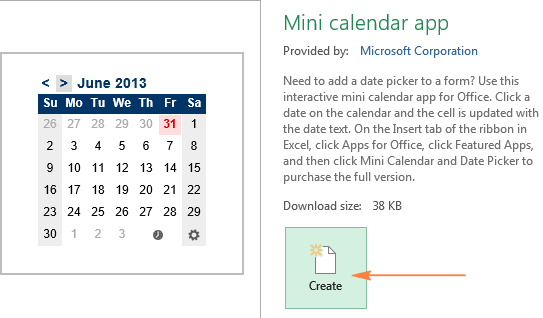 To download a particular Excel template, simply click on it. This will display a brief description of the template as well as the Open in Excel Online button. 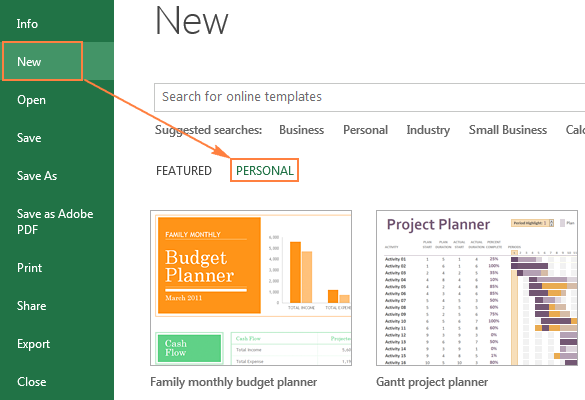 As you may expect, clicking this button creates a workbook based on the selected template in Excel Online. To download the template into your desktop Excel, click File > Save As > Download a Copy. This will open the familiar Windows' Save As dialog window where you select a destination folder and click the Save button. Note. The downloaded file is a usual Excel workbook (.xlsx). 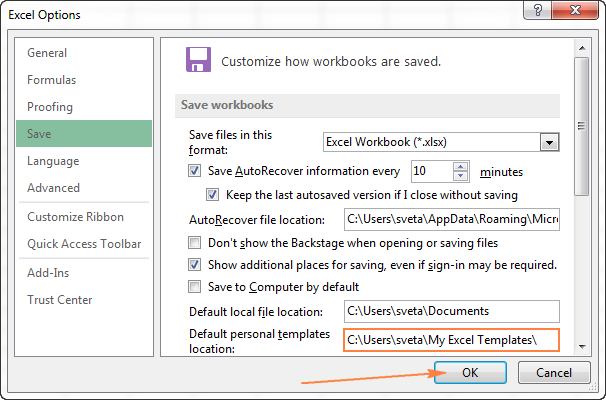 If you'd rather want an Excel template, open the workbook and re-save it as Excel Template (*.xltx). Excel templates by Vertex42 - a leading provider of templates for Microsoft Excel and Google Docs. 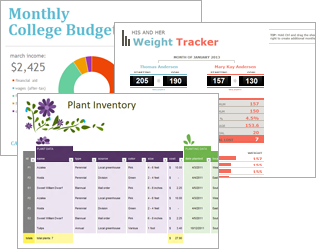 Excel templates by Spreadsheetzone - a rich collection of templates created by Excel pros. Excel spreadsheet templates and calculators made by Spreadsheet123 - budget templates, invoices, inventory, schedule and planners, financial statements and more. Free inventory templates from template.net. Now that you know what Microsoft Excel templates are and what benefits they provide, it's the right time to make a couple of your own ones and get a head start with new features and techniques. 17 Responses to "Excel templates - where to download and how to make custom templates in Excel"
hi, please how do i create a customized template for my data entry of school age children. Hi, Excel won't allow me to create templates, error message: something went wrong. Please assist. Re:Thomas. I can set this up professionally. Thanks for the great post! It is really comprehensive. Very good job. I have a question for you, we professionally design and distribute Excel templates (www.someka.net) We both have free and premium products. 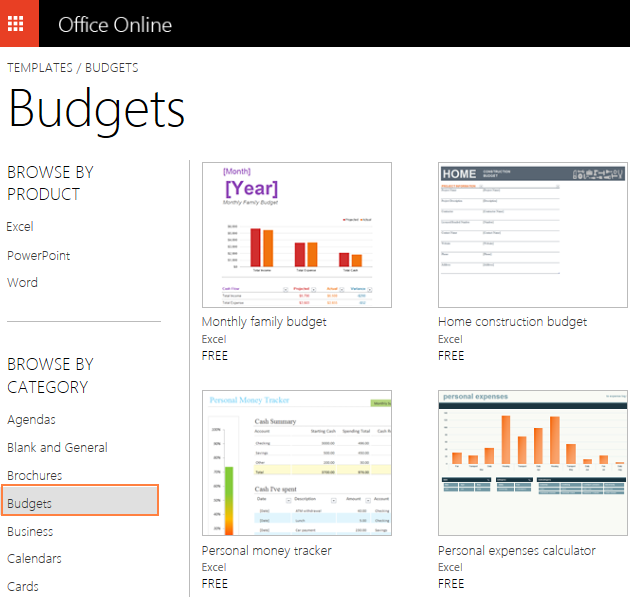 Do you know any benefits for uploading the free templates to Office gallery? Microsoft doesn't allow to put branding or links in your templates. So why would one care about spending effort on their own works and giving the distribution rights to Microsoft? If I create a custom template and then use that template for many sheets in a workbook, can I change a formula in the template and will it then propagate the new formula to all the sheets? 3.If i like the template's preview, click the Create button to download it. For example, I've chosen a nice mini calendar template for Excel: in the mean time the error is showing how to fixed it. If I would like to create a new template and select it create but after that an error is showing then how could I fixed it. It used to be easy in pre-2013 Excel versions to make your own custom template show up in the list of available templates when you right-clicked over a sheet tab and chose "Insert". In Excel 2013 and 2016, this functionality does not work automatically, but your instructions above helped me find the right template folder location. Very helpful - thank you! how can i update the default personal template location using vba?